We are global leaders in a field increasingly defined not just by technology, innovation and clever thinking, but sustainability and the highest ethical and health and safety standards. We are smarter, we deliver. We are proud to be part of RPC Group. A global player in design and engineering plastic products. Totalling £4b+turnover, circa 25,000 employees and 200+ worldwide operations. RPC bpi group is a place for vision. It is a vision that dates back many years to bpi’s founding Father, David Scott. The Groups first record is as a flax-warping business in Dundee during 1797. Fast forward a few generations and technology was dictating a faster, more furious pace thanks to steam power. The company was quick to adapt, trading with businesses as far away as Brazil. By the First World War the company, now called James Scott and Sons, had taken up electric power for the mass production of jute sandbags and soon had operations in New York and Calcutta. The 1940s saw the company step up a gear through acquisitions and before long the visionary minds were coming to terms with polythene, eclipsing jute as a preferred packaging material. By the 1990s the group was making its mark on food, beverage, industrial and medical markets, as flexible packaging became a mainstream material. The group changed its name to British Polythene Industries in 1990, while a flurry of activity in 2016 was crowned by British Polythene Industries PLC becoming part of RPC Group Plc. 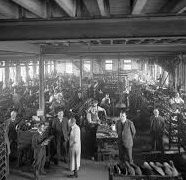 In 1905, James Scott & Sons Ltd was established, just three years before James Scott, the founder, died at the age of 80. 1911 saw the company’s first use of electric power. 1914 saw the company’s capacity increase to cope with the then high demand for sandbags. During 1926 the company began to produce linoleum backing fabric and achieved its highest jute production record. During the 1940’s, the company began its policy of growth by acquisition. In 1947, it took a controlling interest in JK Mills in Glasgow and in 1956 expanded through the acquisition of Thomas Boag & Co, Greenock. In 1958 the company began a joint venture with Robertson Industrial Textiles, acquiring the businesses of Trevor Jones along the way and changed their name to Scott & Robertson PLC. As polythene began to replace jute as the preferred packaging material, the Group had to adapt once again, so in 1990 the Group decided for the final time to change it’s name and British Polythene Industries was formed. British Polythene Industries went from strength to strength and was acquired by RPC Group during August 2016, enabling it to significantly broaden it’s product and service portfolio. What makes RPC bpi group unique is not only our products and technology. It’s not only our proven commitment to both customers and the wider environment. And it’s not only the entrepreneurial flair, candour and smart thinking of our employees. It’s our attitude – a commitment to all the things that lead to commercial success. This means putting customer and group results first, taking full ownership of our ideas and solutions, and working as a close-knit unit with our customers to exceed expectations. Together we are stronger. Our team is drawn from a range of disciplines, from engineering to design. This integrated approach enables us to work with customers that require a range of capabilities. And all our people are chosen for their integrity, their ability to combine practical skills with creativity and their willingness to listen first, act fast and deliver perfect, market-driven, value-added solutions. That is the RPC bpi group culture. Exceptional health and safety standards are continually developed and maintained by all of our stakeholders at every RPC bpi group site. It deserves every effort of investment. Our work is never so urgent we cannot take time to do it safely. We never take short cuts. We never compromise safety. We always look for, report and resolve problems before they become hazards. Anyone who visits an RPC bpi group site is briefed on our safety standards and expectations. RPC bpi group exceeds the very latest regulations and best practice. We regularly check and assess equipment to ensure that it’s operating safely. All of this we do quite simply, because it’s the right thing to do, ensuring that everyone who leaves us at the end of a working day arrives home healthy to their friends, family and loved ones. Major construction projects such as the iconic Birmingham Library choose our construction material products to give their buildings a lifetime of structural assurance.